If you need to schedule a field for practices or make up games, please contact our scheduler. All fields MUST be scheduled in advance. 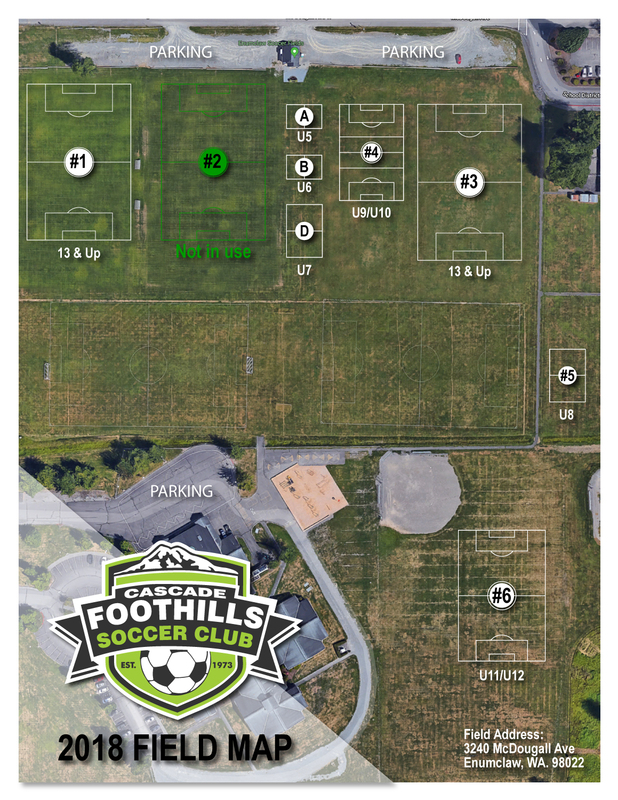 CFSC Fields are located on the corner of McDougall Ave. and 244th Ave. S.E., between Southwood and Sunrise Elementary Schools. The address is 3240 McDougall Ave., Enumclaw, WA 98022. No dogs of any kind are allowed on the CFSC fields! We want to bring this to your attention so you don’t have the inconvenience or arriving at a field with your dog and have to leave the soccer fields. You can keep it in your car responsibly. Failure to comply with this policy may result in a loss of use, of the soccer fields, for the coach, team or club. Guests who bring dogs to the soccer fields will be asked to remove the dog from the premises! Turn Right at McDougall Avenue. You're HERE!! A special thank you to the Enumclaw Schools for the use of their fields and to the maintenance crew that keeps them looking so good! Approx. 45 miles and 55 minutes from downtown Seattle. Take the Auburn Way/WA-164 exit toward Enumclaw. Turn Left onto Auburn Way S/WA-164. Turn Left on McDougall Ave. - You're HERE! !